My article on "Test Automation in the World of AI & ML" recently got published on InfoQ. Debugging / RCA (root cause analysis) and support for libraries / tools used is an afterthought in most cases. Do not fall in that trap. There are some promising commercial tools that fit seamlessly in the Agile way of working. Depending on the complete context, these tools may be a good choice over building your own framework for Functional Automation. You can read the full article from here. Looking forward to comments on the same! 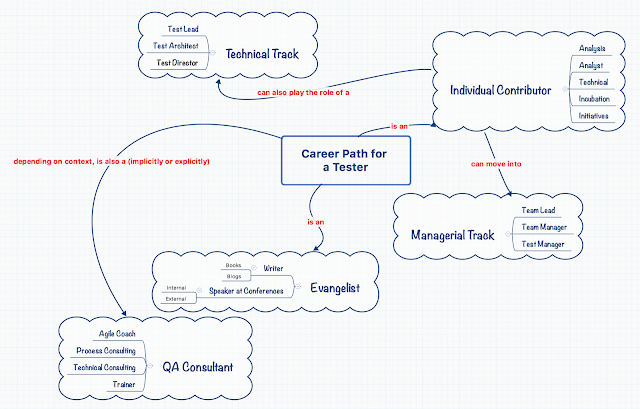 Career Path of a Tester! Any WAAT (Web Analytics Automation Testing Framework) users out there? How to upgrade the appium-uiautomator2-driver version for appium 1.6.3?